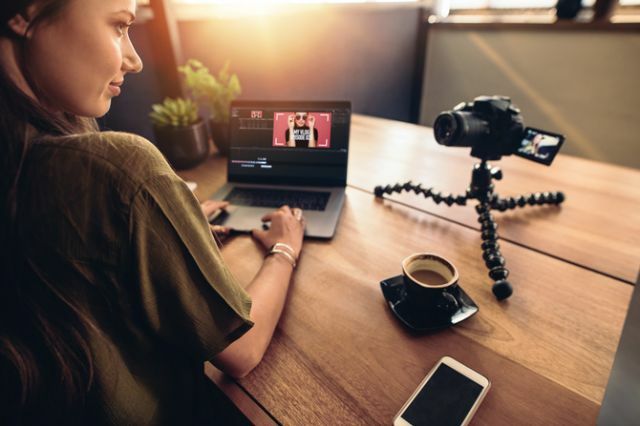 Creating helpful videos is an excellent way to capture followers’ attention. (Credit: @StudioIDoBridals on Facebook). But given that not every post performs well on every network, it can be difficult to find the magic formula for successful updates. However, there are some bridal retailers who have done just that. Here, they share some of their secrets. 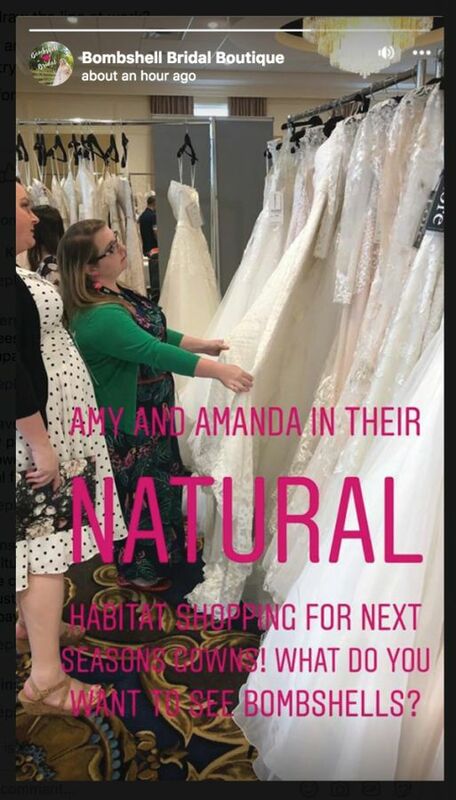 Real posts that worked: pictures of store displays; pictures/ videos of stylists helping brides (get their permission first), from welcoming them to the store to looking at dresses on the rack and trying on different styles; pictures/videos of dresses on mannequins. 2.Create content that shows your store’s vibe and personality. “Being authentic, friendly, funny and caring is how you create trust and build relationships online,” Wadsworth says. “Those relationships online are how you convert lookers to shoppers. If you spend the time sharing your heart as well as your products, you will find that brides want to buy from you before they visit your store.” These posts don’t have to be elaborate, rehearsed or lengthy. 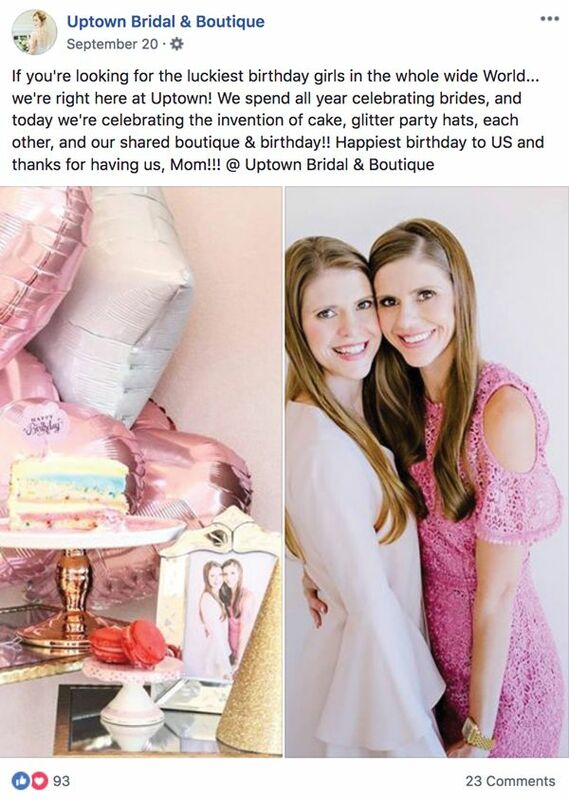 Instead, think of what brides would see if they came into your store, and then share those same “views” with your online audience. Real posts that worked: Pictures/videos of staff receiving new dresses from the UPS delivery person; stylists unboxing, steaming and hanging dresses; little details of the dress on the rack; spotlights on staff members so followers can get to them know better. 3.More videos. 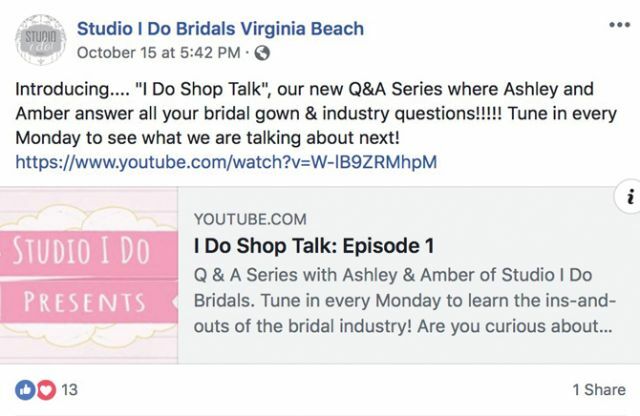 “This has been a leading social-media marketing strategy for almost four years now, but it is still true,” says Emily Crisman, director of marketing and social media for All the Rage Stores, Studio I Do Bridals and Here and Now Bridals, with locations in Chesapeake, Roanoke and Virginia Beach, Va. “We get double the engagement on video than we do on photos. I try to create a video every week for each store.” You don’t need fancy equipment to make videos; most of today’s smartphones are equipped with high-quality cameras that capture good video. Also, video is popular on all the social-media networks, including Pinterest, so make sure you pin your videos. 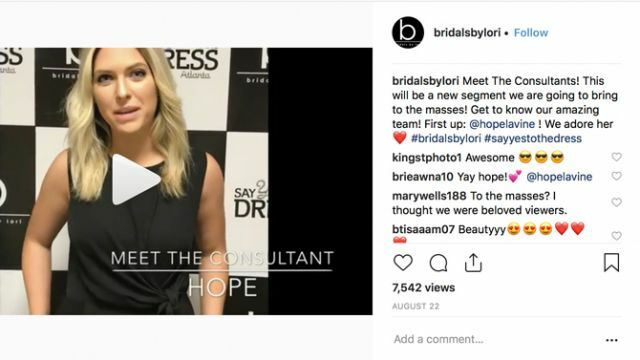 Real posts that worked: Videos of brides (get permission first) or staffers modeling dresses; Q&A sessions with staffers discussing current trends; videos of your participation in bridal shows. 4.Create more stories. Because Facebook and Instagram are now integrated, you can create one story that will be shared on both social networks if you have them connected. “The stories generate a lot of views to our timeline, which leads to loyal followers, which leads to customers or referred customers,” Crisman says. Stories can be photos, videos or both. Stories are built by uploading one element, i.e. photo or video, at a time. These elements can be customized with text, hashtags, location and more. Don’t be afraid to experiment with it to find a look that you think best represents your store. Snapchat also has a stories feature but it’s independent of those published on other networks. Real posts that worked: Telling stories of dress deliveries; instructional stories (think: how to wear a veil, the difference in necklines, etc. 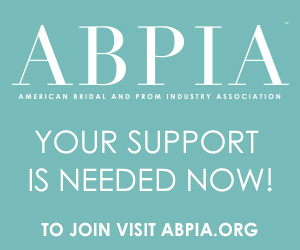 ); polls (picture of dress with “Yay” or “Nay”; offer a giveaway; share announcements (new dress arrivals, trunk shows, sales, etc.). 5.Pinterest is gold. “We have pinned all our products to different boards, we have pinned all our Instagram posts and all our blog posts,” Crisman says. “We have seen a large amount of traffic come from Pinterest after just updating it on a weekly basis. The captions in the pins also largely influence SEO, [which increases our presence on Google.] For dresses, we copy and paste the designers’ dress description and fabric description in the pin.” When creating pins for Pinterest, be sure to use vertical images. Pinterest prefers images that are 600 pixels by 900 pixels. To make it easy, Canva offers free photo-editing services that include a Pinterest template that you can customize. Real posts that worked: On the Studio I Do Bridals Pinterest page, boards are broken up by designer. The pins on each board are the designer’s product picture and description, but link back to the Studio I Do product page. To make it easier to find your store’s pins on Pinterest, include hashtags in the pin description. These should include the designer name, “wedding dress,” “wedding shoes,” “bridesmaids,” etc. 6.Poll the audience. “This type of post is social-media gold,” Wadsworth says. Polls work best on Facebook, Instagram and Twitter. 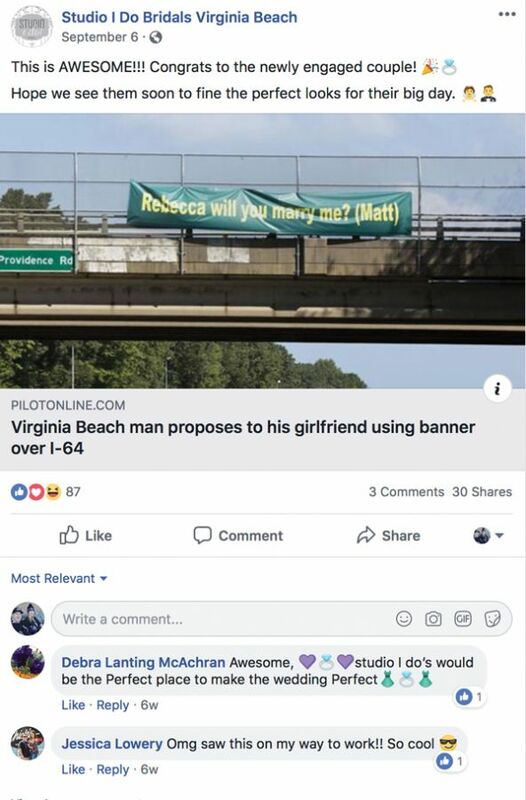 On Facebook, you can post images with a polling question in the caption, or you can actually create a poll with suggested answers for followers to select. On Instagram, again you can post images with a polling question in the caption, or you can create a poll within your Instagram Story. On Twitter, the post should have an image with the polling question in the caption. Real posts that worked: Create a collage of a bride or staffer modeling two different dresses, and ask followers which they prefer. 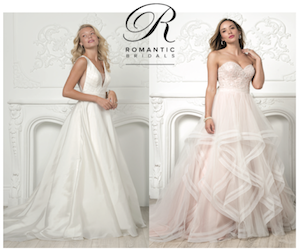 Capitalize on current trends by asking which style dress will work for an upcoming celebrity’s wedding. Create a collage of four different pairs of bridal shoes, and ask which one followers would want for their own wedding. 7. Tag everyone and their mom. “We have found that the more tags – not hashtags – the more likes,” Crisman says. “I try to tag another account or two every post on Instagram and Facebook.” Tagging other accounts means those accounts and, hopefully, their followers will see your post, which will lead to more shares and more views. This is especially effective on Facebook and Instagram, but also applies to Pinterest and Twitter. Real posts that worked: The most obvious is tagging the dress designer of the pictured wedding gown. For photos taken at wedding venues, tag those venues. If featuring celebrities, tag their accounts. Wedding photographers are notorious for tagging other wedding vendors in their posts; if they tag your store, reshare it on your own networks. Going forward, establish relationships with those photographers (plus new ones) to share one anothers’ photos, videos and posts when working with the same brides. 8.Make it in a snap. Because Snapchat was originally created as a place for users to have conversations with their friends, posts are more relaxed. Rather than carefully curated posts or heavily edited photos, it’s meant to be a casual chat. Therefore don’t overthink using Snapchat. If you have staffers who are regular users, rely on them for input on what makes a good snap. Don’t be afraid to let them take the reins and guide this social network for you. Real posts that worked: Behind-the-scenes shots of staff hanging dresses, working on the window displays or chatting on the phone. Tease products by posting pictures of small details of a new dress or an unopened box of new jewelry. Encourage followers to submit questions via e-mail, and follow up with a Q&A with staffers answering those questions. 9.Share content from other sources. Sharing content you didn’t create, known as curated content, is another way to broaden your reach. This can be anything from wedding trends and news to cute animal videos to holiday-related pictures and so on. This shows followers you aren’t all about self-promotion, but rather want to share information that may interest them. Plus, it gives you a break from always having to come up with something new at your store. Real posts that worked: Funny outtakes from wedding photo shoots; videos of elaborately choreographed wedding dances (first dances, father/bride, mother/son, groom/groomsmen, etc. 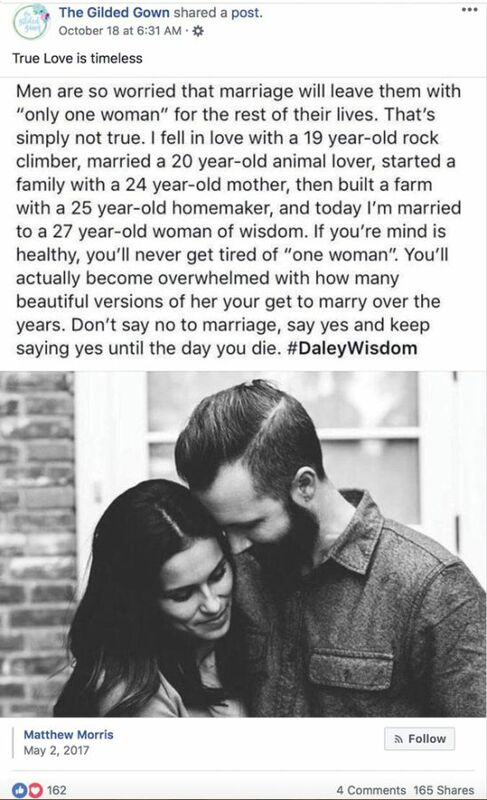 ); quotes related to wedding planning, love and marriage (Modern Wedding magazine does this with great success on its Facebook page); kids doing cute, funny, charitable things; celebrity wedding or red-carpet news. Real posts that worked: See examples mentioned above. Use scheduling tools to schedule out posts. There are numerous free and paid tools available to help with this task. For instance, users can schedule posts in Facebook, and Twitter’s TweetDeck has a scheduling feature for Twitter. Paid tools include HootSuite, Tailwind, Meet Edgar and IFTTT. 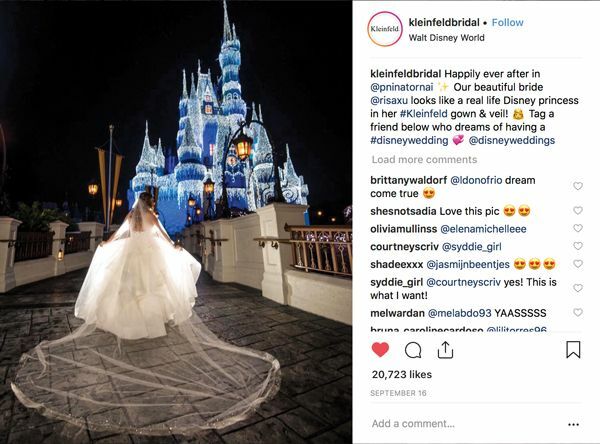 Although it takes a lot of time and effort, maintaining a strong social-media process is key to attracting potential brides and turning them into paying customers. By creating interesting and informative social-media posts that reflect who you are and what you have to offer, you can find success on social media, which will lead to a larger audience and, therefore, more customers in your store. Don’t be afraid to take the time to try new ideas, post different styles of content and see what your followers respond to on a regular basis. When you do, you will find social-media success that will benefit your store in the long run.